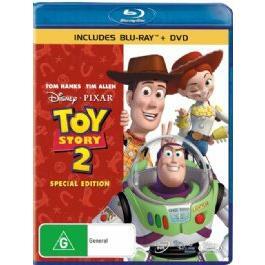 Recently re-released at the movies to celebrate the Blu-ray release and also the third movie, Toy Story 1 and 2 are considered by some an institution like those classic Disney animated movies of yesteryear. 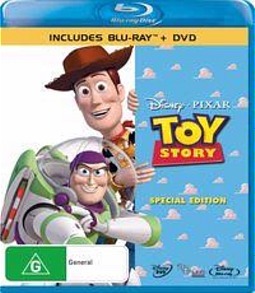 Although both are available separately on Blu-ray, this review will showcase both releases because what’s a Toy Story collection without one or the other. Although the last time I saw these movies were at cinemas, it’s good to know that both movies have not dated at all and the animation is as crystal clear as ever as we are once again introduced to Woody (Tom Hanks), Buzz Lightyear (Tim Allen) and those whacky toys who come to life when people are not around. Although sequels are generally a little lacklustre, Pixar proved most nay sayers wrong and Toy Story 2 was just as good as the original. I will only briefly touch the story of both movies because if you don’t know what they’re about, than you’ve obviously been living a very sheltered life. Needless to say, both movies feature action, drama, romance and comedy which have been beautifully created via CGI that look amazing on Blu-ray. 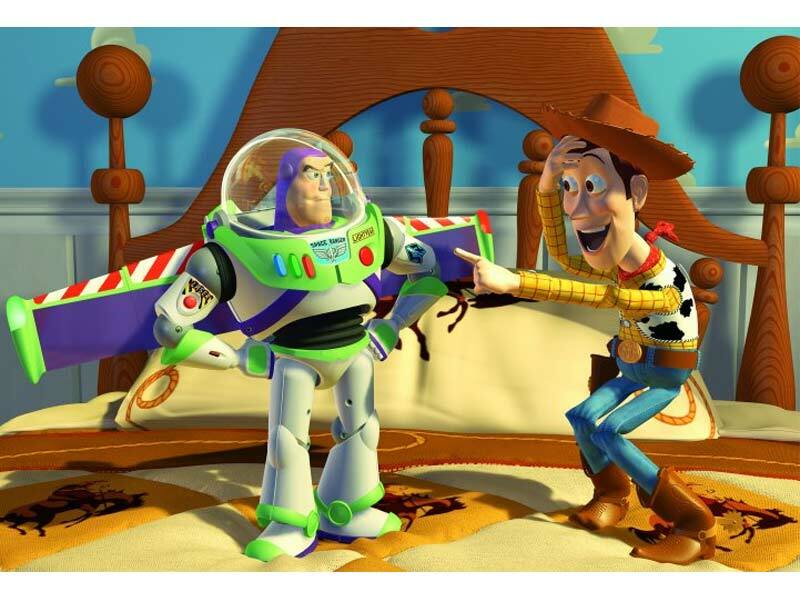 Toy Story 1 revolves around Woody, an old school pull-string talking cowboy who has been the pride and joy of his owner Andy and more specifically his collection. Unfortunately his status as favourite toy is foiled when Buzz Lightyear arrives, an action figure who can almost do everything. Woody comes up with the "ingenious" plan to get rid of buzz, however it backfires and both end up with Sid, the nefarious kid next door. In order to get back to the world of Andy, both must team-up and put aside any issues they have with each other. In Toy Story 2, all the favourites return, however we even see a few new instalments to the gang. Once again the toys get themselves in hot water and while Andy is away at summer camp, Woody is stolen by Al, a toy collector. Buzz Lightyear has a plan and together with Mr. Potato Head, Hamm, Rex and Slinky Dog, they attempt to liberate Woody from the vile clutches of Al. There is even a romance for Woody in Toy Story 2 that include Jessie, the cow-girl and my favourite new character, Stinky Peter the Prospector who add quite few laughs to this instalment. In terms of video quality, both movies are presented in glorious FULL HD widescreen that sport vibrant colours and larger than life animation. 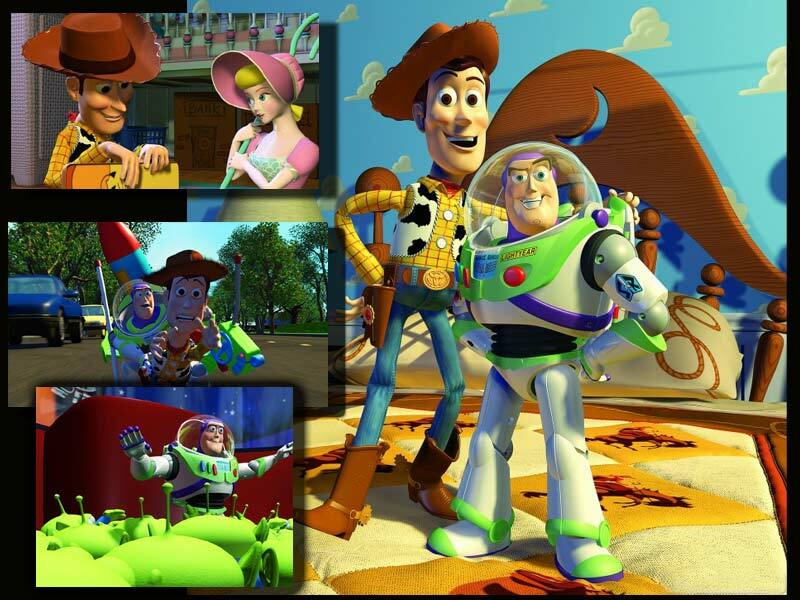 It’s quite amazing that Toy Story 1 is actually 15-years old but on Blu-ray, it still holds up quite well and even gives some of the modern CGI animated movies a run for their money. In reference to both films, Toy Story 2 does look better than the original but in the grand scheme of things, they have been perfectly transferred to Blu-ray with no errors whatsoever. For audio, both films support DTS-HD Master Audio and sounds phenomenal through our surround sound setup with crisp audio, sharp sound effects and a soundtrack to die for. You really notice the subtleties of the movie that makes you appreciate the painstaking effort that Pixar have gone to create this amazing and at times realistic 3D animated world. As you can see, Disney have not skimped on the special features and this helps cement Toy Story as the modernisation of Disney’s timeless characters. The standout aspect for me was the interviews with those involved in the movie and you can tell that Toy Story 1 and 2 worked so well because everyone involved was having a ball. The Buzz Lightyear mission logs are also great for a laugh and for the price of these two Blu-rays, it's definitely value for money. Some may criticise this review because I’ve merged both releases of Toy Story 1 and Toy Story 2 into one review but as mentioned, in order to do this series justice, both movies are needed for the complete picture and besides, these are probably the two best written CGI movies to date. However where both these movies shine is with the transfer to Blu-ray that looks amazing on FULL HD with an almost surreal colour palette that only highlights the extremely sharp picture quality. And then all of a sudden, you will hear something in the movie that makes this experience an almost interactive experience. Add in a plethora of well-made special features, not just thrown together like some releases and Toy Story 1 and 2 is a must have to anyone’s Blu-ray collection and could easily be used as reference discs for its high calibre of quality.